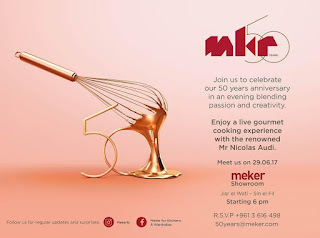 Tarek Chemaly: Meker celebrates 50th anniversary tonight! Meker celebrates 50th anniversary tonight! The card is utterly lovely. Enough to make me go out of my hibernation and attend - having renowned caterer Nicolas Audi whip up the meal is not a bad incentive either. The reason? 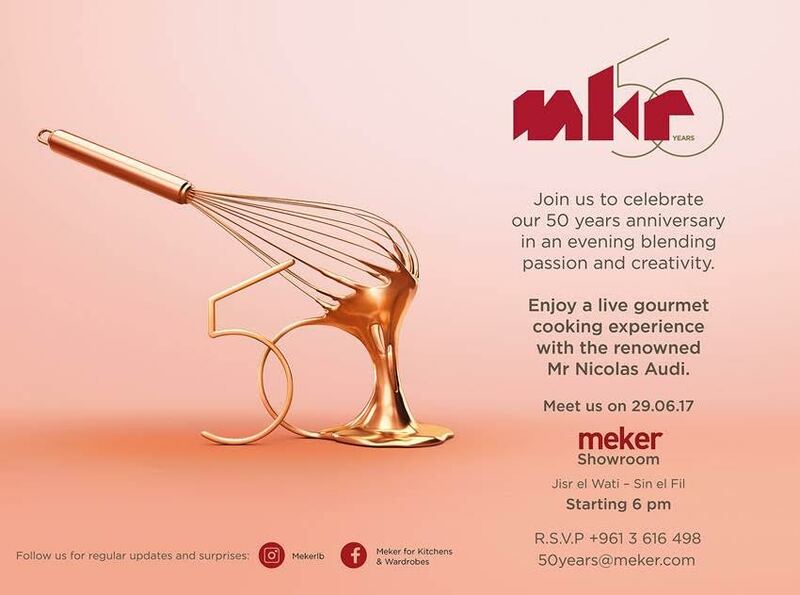 Meker for kitchen and wardrobes is celebrating its 50th anniversary in Lebanon. But hey, even someone as introverted as I am can justify popping to such an event. Recently actress Nicole Kidman (who starred in Little Big Lies) said: "If you’re going to have to miss the finale of Big Little Lies for the A.C.M. Awards, you might as well do it while wearing Alexander McQueen." So to paraphrase that quote, if I am going to skip my comfy armchair and indoor research for my projects, might as well do it while attending the bash at Meker. Congratulations and here's to fifty more!